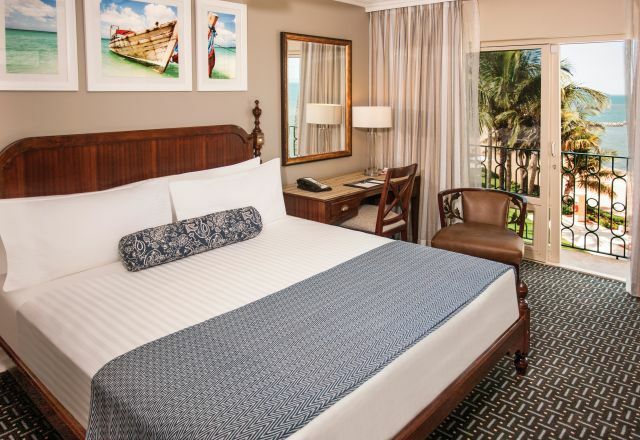 Accommodation at Southern Sun Maputo offers guests a choice of 269 rooms and suites where every accommodation option creates a space for productivity or for doing-nothing. 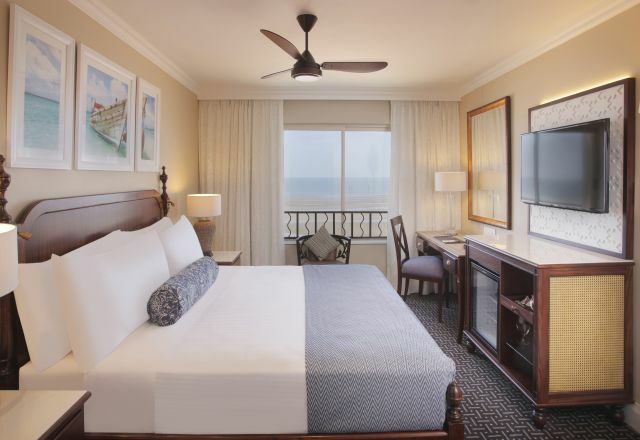 Comfy beds, climate control, free WiFi, 24-hour room service and concierge attention come as-standard while Executive Room and Suite upgrades include extras like Nespresso machines, ocean-view balconies and private lounges. Whether you’re looking for a little luxury after some off-the-grid Mozambique exploring, or you need a room designed for business-simplicity, our Maputo hotel has a room ready. 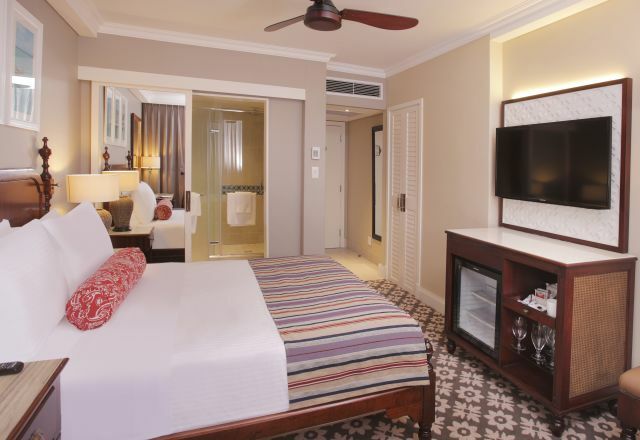 Every room at Southern Sun Maputo is designed with convenient amenities and makes clever use of the space so you can unpack and make yourself at home or get to work from the moment you arrive. Room service, a stocked mini-bar, degree-perfect climate control, sound-softened windows, work desk and blackout curtains make it easy to work without interruption or enjoy uninterrupted ocean views. You’ll find at least one flat-screen TV with local and international channel choices, comfy chairs for relaxing, and a bathroom with either a walk-in shower, a relaxing bath, or both. 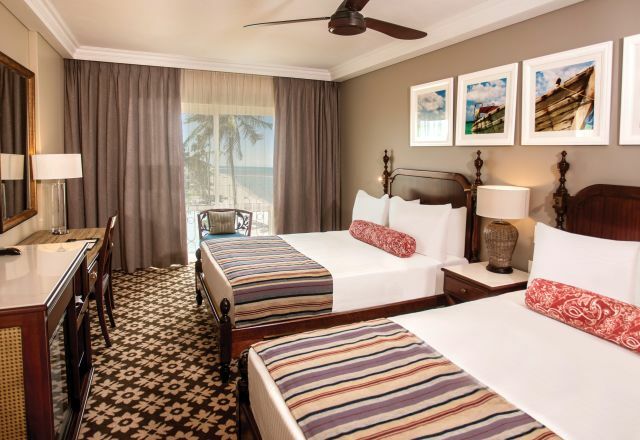 A limited number of interleading rooms add to the family and group travel convenience, while the option of wheelchair accessible and smoking rooms ensures everyone can feel at home in our Maputo accommodation. If you have any special requirements to help you feel at home, whether it’s a favourite dish you don’t see on the room-service menu, pillow preferences or a forgotten toothbrush, let us know and we’ll do our best to make your stay a little more like home. Rooms have a comfy queen bed and feature an en-suite bathroom with shower. Our Superior Rooms have an en-suite bathroom with separate shower, and offer captivating sea views. Executive Rooms have a king bed, as well as en-suite bathroom with separate shower. 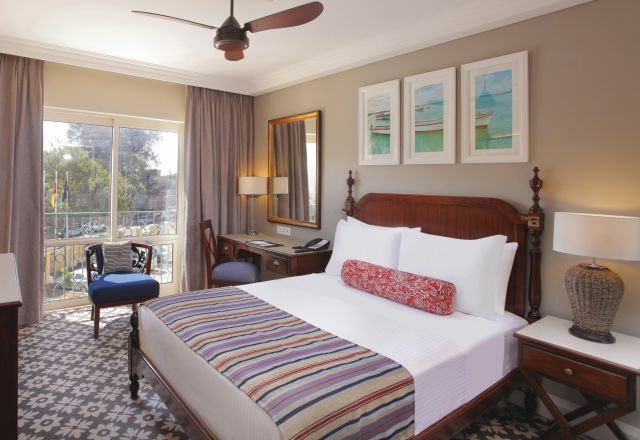 The Southern Sun Maputo Suites have a king bed plus en-suite bathroom, and two inter-leading double bed superior rooms. The Presidential Suite has a king bed, lounge area, kitchenette and guest toilet, as well as en-suite bathroom.